up to approximately 15 guests. 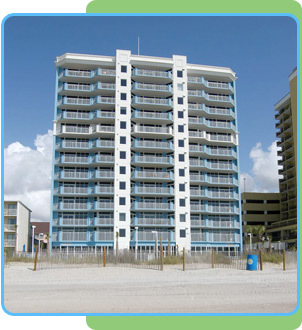 Ocean Blue has a great location and fabulous amenities—perfect for your next Myrtle Beach vacation! 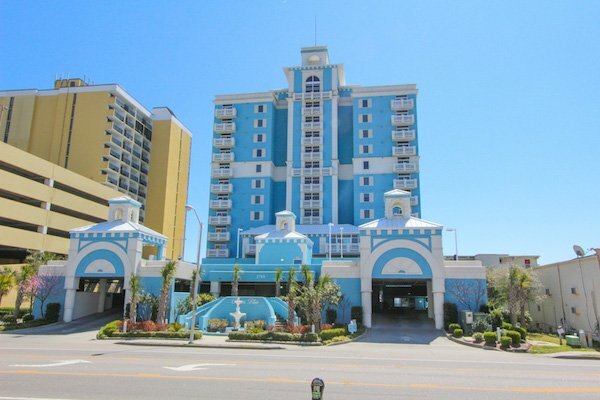 The south end of Myrtle Beach is booming with excellent attractions and restaurants to choose from, including the Myrtle Beach Boardwalk and Broadway at the Beach. 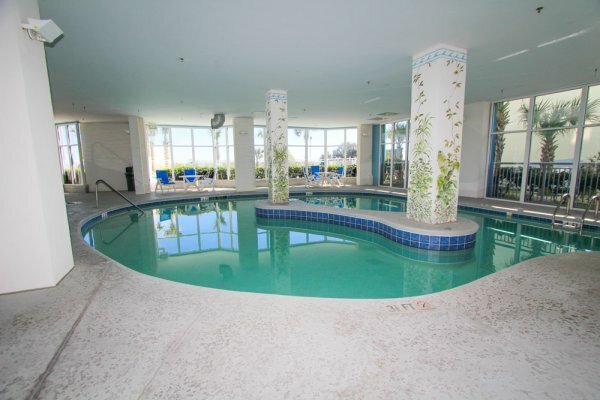 The list of amenities at Ocean Blue Resort goes on an on, including a lazy river, indoor and outdoor jacuzzis, indoor and outdoor pools,. And that's just the outside! Inside each spacious condo you'll find a master bedroom balcony, floor-to-ceiling windows, marble floors, a granite bath, big screen TV, and much more! A 5 bedroom condo is available to help accommodate large groups and families, but you can also choose to rent a 4 bedroom condo. 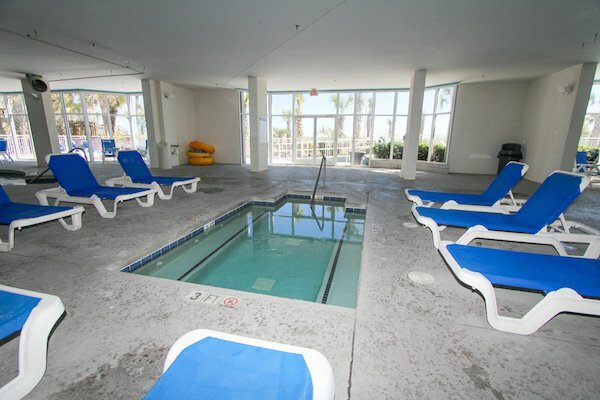 Enjoy the luxury during your stay at Ocean Blue Resort in Myrtle Beach, South Carolina. 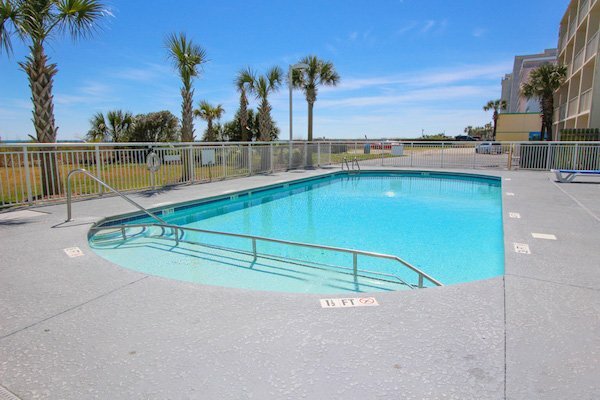 Location is always a deciding factor when choosing a Myrtle Beach condo rental. 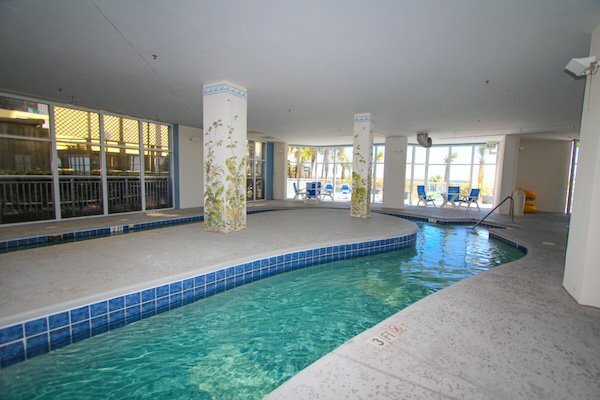 Ocean Blue is one of the best, centrally located resorts around. Just a couple miles south is the famed South Beach Adventure Golf -- a perfect mini-golf venue for golfers of any caliber. Aside from miniature golf, there are plenty of great restaurants and amusment parks within a five mile radius. 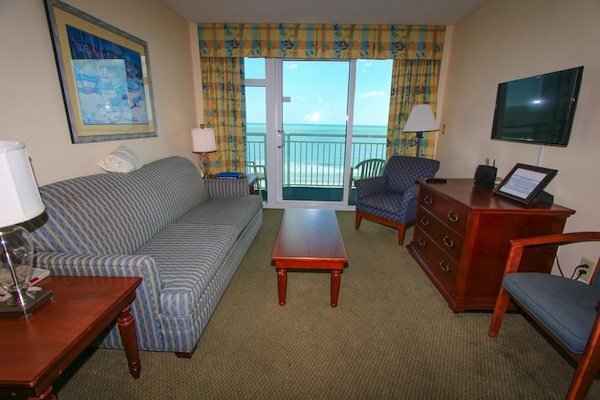 Check out Ocean Blue when planning your next beach vacation. 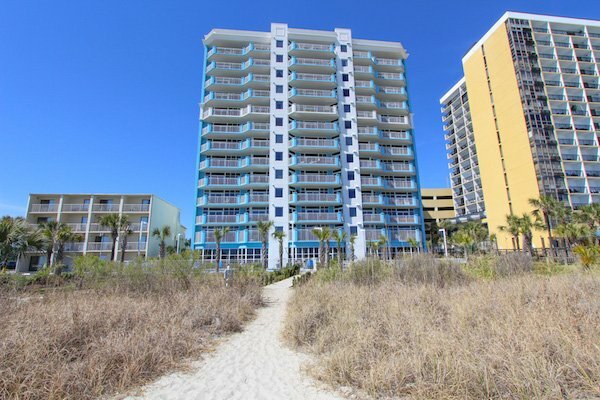 Where is Ocean Blue Resort Located?